Every day enjoy a different deal at Chapel Grille! TUESDAY: Double Points Tuesday! Loyalty Members Receive Doubt Points! Available every day 4-6pm, Fridays 4pm-close. 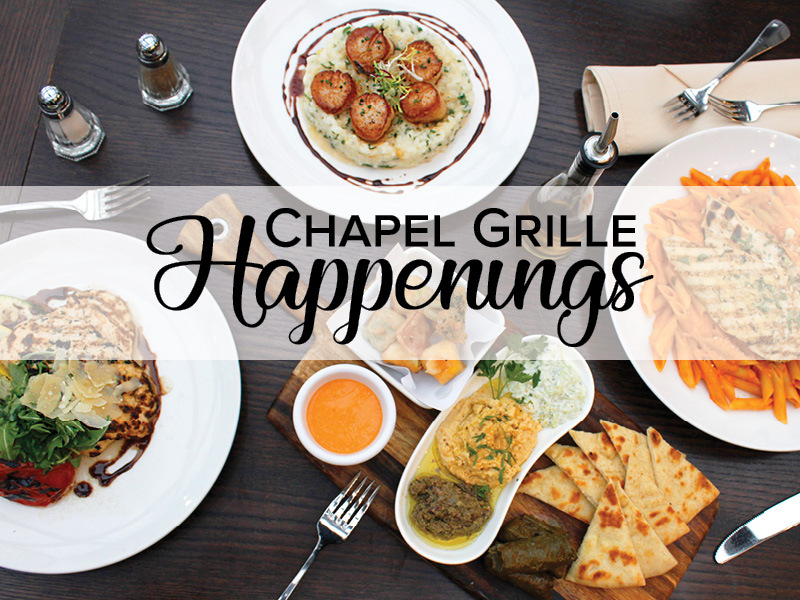 **NEW Chapel Grille Happenings begin April 22nd.